I don’t know what the average turned out to be… since I was late to the party and helped weigh just the last 50 or so. But glancing at the paperwork… seemed to me like there were quite a few in the 900-1000 pound range. 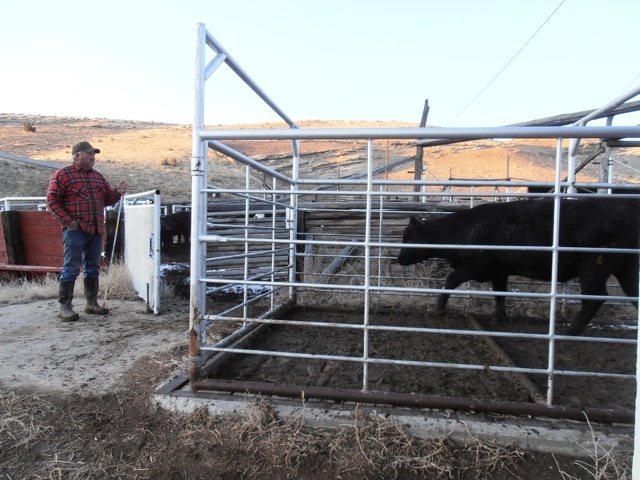 We weigh heifer calves at birth, (and take an average for cow calves), we weigh them when they’re weaned. We weigh them when they’re yearlings. We calculate it all into ADGs (average daily gains) and WPDs (weight per day of age)… Lost yet? 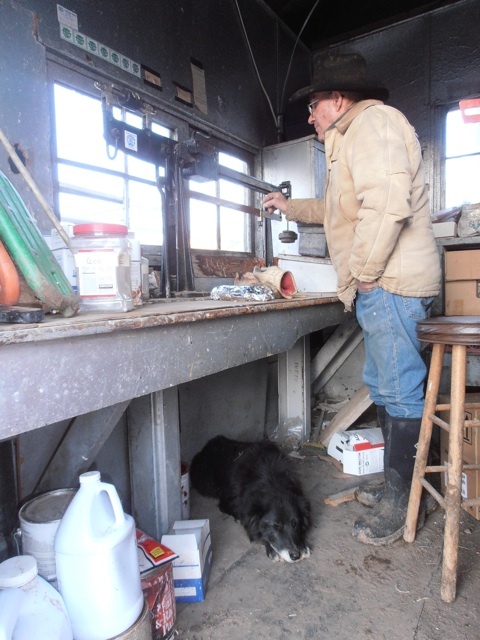 Well, anyway… it’s just part of the tools to help choose what heifers get to stay here on the ranch as replacements as opposed to being sold as bred heifers. There may be just a little bit more to this ranching than just turning cows out to eat grass, eh? Amazing what I’ve learned over the years! I do know something else… right during the taking of these photos… the temperature fell about 20 degrees as the sun set. Time to toughen up for winter! November 8, 2010 It’s Green!